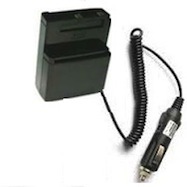 CBE-K37 : Battery Eliminator for KENWOOD TH-235A, TH-235E radios. Enables high-watt operation from a 12-13.8VDC socket. This exclusive product is manufactured in the USA by BATTERIES AMERICA. When paired with the BP-1280 Power Pack, you can acheive high-watt mobile operation for up to a week !